Congratulations, after years of hard work, you’ve created a successful business. Achieving consistent business revenue and accruing business assets often means that you’ve created an entity that is worthy of serious planning and protection. You may be asking what the next steps are AND a key estate planning consideration is a buy-sell agreement to protect your business partners and loved ones. A buy-sell agreement is generally NOT a contract to sell the business to a third party. Rather this is an agreement to provide business continuity succession planning between co-owners in order to ensure a smooth transfer of ownership in the event that one becomes permanently disabled or dies. A buy-sell agreement MAY or MAY NOT be funded by life insurance and this is also an important aspect of buy-sell agreements to consider. Like any contract, the buy-sell agreement is only as effective as the thoughtfulness and skill that was applied in the drafting and preparation process. For this reason, boilerplate forms are NEVER a good idea. In preparing a proper buy-sell agreement the right way, some important questions should be asked before even starting the drafting process. How will the business continue operating upon the death or disability of various owner-partners? Will a single surviving partner purchase a deceased or disabled member’s interest or will this be a purchase of equal interests by a number of partners? In the case of disability, how will the required level of disability be determined? Should the company have the option to purchase a deceased or disabled partner’s interest or only the respective partner or partners? How will the company and respective share of a deceased or disabled partner be valued and how will this valuation formula be kept up to date? Will the heirs of the various partners be required to ratify the buy-sell agreement in order to confirm their understanding and agreement? Is the buyout and participation in the buy-sell mandatory and binding upon all partners and heirs? Are there contingent options for sale to a third party available in the event that a buyout by remaining partners becomes unfeasible AND are other business agreements involved? Will the buy-sell agreement require regular updates or monitoring to ensure tracking with changes in the business or economy? Will life insurance (and/or disability coverage) be utilized to provide liquidity to fund a buyout of partnership interest? Of course, there are many other considerations that may be relevant based upon the unique situation of the partners and/or the business and this is why only skilled professionals should be utilized for this process. A major purpose of the buy-sell agreement is to ensure the continual operation of the business upon the death or disability of an owner-partner. In the event of an owner’s death, confusion will likely ensue absent a buy-sell agreement as to how to handle the loss of a productive business owner. Worse yet, the heirs to the partner may become extremely unreasonable about the value of the deceased partner’s stake in the business OR they may decide that they should be offered a position in the company. Thus, it is critical to decide upon a clear course of action in advance that is clearly mapped out in the buy-sell agreement terms. Identifying the parties in the buy-sell agreement means determining who will have the right to purchase the deceased or disabled member’s interest. In a cross purchase buy-sell agreement, one or more business owner-partners may be designated to purchase the interest of a deceased or disabled owner-partner. In an entity purchase buy-sell agreement, the company will be designated to purchase the interest of a deceased or disabled owner-partner. In the former, more common scenario, the buy-sell agreement should specify whether ALL surviving owner-partners will be purchasing equal shares or whether another scenario is contemplated. In the event of the disability of an owner-partner, the other partners may struggle to determine whether a disabled partner should be relieved of business responsibilities AS WELL AS how to compensate the disabled partner. Clear guidance from the buy-sell agreement is required to decide whether the level of disability is sufficient to warrant replacing the disabled partner and economic losses may follow. An example may be to connect the definition of disability to the statutory definition of totally and permanently disabled under the workers compensation or social security laws. A waiting period may also be implemented in the buy-sell agreement such as 90 days from the disabling event, prior to buyout proceedings being initiated. An important consideration is whether the company (or business entity) should have a right of purchase instead of, or as well as, the surviving partner owners. In a pure entity purchase arrangement, only the company would have the right to purchase a deceased or disabled partner’s interest under the buy-sell agreement. Likewise, in a cross purchase arrangement, only a surviving owner-partner (or owner-partners) will have the right of purchase. A third option is a wait and see approach which can allow either the company or surviving owner-partners a right of purchase OR may allow the surviving owner-partners a first right of refusal, followed by the company’s agreement to purchase as a backup. The entire functionality of the buy-sell agreement can fall apart of a clear valuation formula for the business is NOT specified. The actual formula should be agreed upon by all parties and preferably ratified by the surviving heirs of the owner-partners to make sure there is no dispute. The reasoning here is that these kinds of scenarios are highly susceptible to disputes. An example of a valuation formula may be a market based formula such as total inventory, plus a multiple such as 3 times the total owner benefit, divided by the number of owner-partners. A more formal approach can be taken such as the requirement of a formal evaluation undertaken by a licensed professional (i.e. CPA’s often do this). Business brokers may also be utilized and any combination of the above approaches may be used with one as a fallback approach to the others. Obtaining the agreement of the spouses and perhaps even the children of the owner-partners simply adds a layer of protection to the buy-sell agreement. As discussed above, spouses and other heirs are most likely to challenge aspects of the agreement, such as the valuation of the partner’s interest. Legal disputes create major expense and chaos during these situations and should be avoided at all costs buy obtaining consent to the terms of the buy-sell agreement from all concerned parties. This would be accomplished by a simple ratification. And these parties, as third party beneficiaries, need not be a first party to the buy-sell agreement, in my humble opinion. 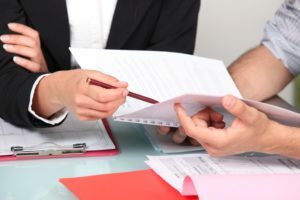 This point may seem to be a given; however, whether or not the buy sell agreement is binding should be clearly spelled out to confirm to heirs and beneficiaries that the buy-sell agreement is NOT subject to interpretation or negotiation. Again, the reason for this is to avoid needless disputes over valuation (money) or the fact that the heirs are required to sell the owner-partners interest in accordance with the agreement. Every good agreement should make provision for a few contingencies and a buy-sell agreement is no exception to this general rule. For example, what if the (or one of the) designated owner-partners who is to purchase a deceased or disabled partner’s interest has taken ill themselves or has reached retirement age? In such circumstances, another option, such as that owner-partner selling to the remaining owner-partners may be desired. Another possible contingency plan is mentioned above, and that is a fallback of allowing the company to purchase the interest. Another possibility may be allowing the surviving representatives of the business to negotiate with a third party for the buyout of the company. The company’s operating agreement, corporate bylaws or shareholders agreement may already allow this flexibility, but it is important to at least reference these contingencies in the buy-sell agreement. Moreover, the buy-sell agreement should reference other relevant business agreements (such as partnership or operating agreements) and specify which agreement takes priority over the others. Buy-sell agreements may become obsolete if aspects of the agreement such as valuation formulas and the status of various owner-partners are not subject to regular reviews and monitoring. For example, if new investors become owner partners, the old plan can become obsolete and lead to needless confusion and conflict. Similarly, if the company substantially increases in value, an informal valuation may no longer be appropriate, and the buy-sell valuation formula may need to be updated. Life insurance is often a very important factor in business continuity succession planning with buy-sell agreements, because it provides much needed liquidity to fund the buyout without removing necessary capital from the company. All of the above aspects of a well prepared buy-sell agreement related directly to the life insurance coverage needed and thus should be considered for the buy-sell agreement. For example, having a clear valuation formula relates directly to amount of life insurance that is needed AND identifying the parties directly concerns who the insured and beneficiaries of the insurance policies are. Similarly, if disability is an aspect of the buy-sell agreement, then an appropriate policy that offers a disability benefit, as a lump sum, will be an important part of the insurance plan. When considering the type of insurance needed, it is important to consider whether cash value life insurance should be utilized to fund your buy-sell agreement due to the many advantages as previously discussed concerning key person insurance planning. Last but not least, when funding a buy-sell agreement with life insurance, regular audits and updates are very important to assure that the amount of coverage matches the estimated value of the company per share of each owner-partner who is concerned.